“True revolutions are rare; what we have most is restlessness, breakthroughs and progress. Revolutions may sometimes last for centuries without us ever discovering their source. A poet once said that the Nile at its source is only a stream; it is hard to imagine the world’s greatest river starting as a stream. The revolution is that stream, not the life-giving river it becomes lat-er. We have seen major transformations being forgotten twenty years later. Therefore the true revolution has yet to emerge. It has been foretold in human conscience but has not occurred yet”. Last May he became the first Haitian and the first Quebecois to be elected to the Acadé-mie Française. 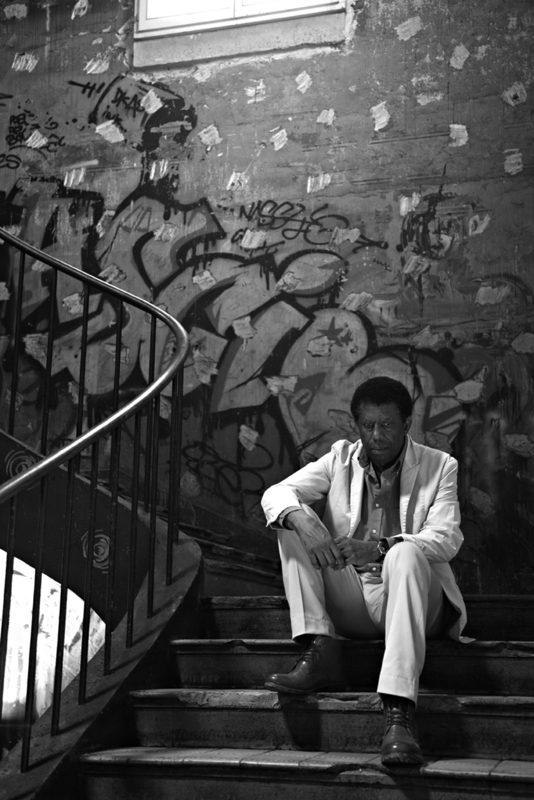 Dany Laferriére knows how to make people laugh. He uses jokes to veil the deadly edge of the words he may suddenly utter — or simply because he has come close to death several times. With rare intuition he anticipates my questions before I ask them. Talking with him is a delight and a gift. Just before I hand him over to Romain for the photographs, I reveal that I write, too. “Not like you, of course; I am only a ‘minor’ writer”, I say with a laugh. “Il n’y a pas de petits criminels’, (there are no petty criminals) he says before walking away.